DreamWorks Animation has made a few slight release date changes today, moving The Croods 2 from November 3, 2017 to December 22, 2017 while Puss in Boots 2: Nine Lives and 40 Thieves shifts from November 2, 2018 to December 21, 2018. The Croods 2 currently has its new December 22, 2017 date to itself, but it comes just two days after an untitled animated project from 20th Century Fox and Blue Sky Animation. If it would have stayed in its old November 3, 2017, it would have had to face an untitled Marvel Studios adventure. It should also be noted that 20th Century Fox's Avatar 3 is also slated to be released in December 2017, although an exact release date has not been given yet. Nicolas Cage, Ryan Reynolds, Emma Stone, Catherine Keener, Clark Duke and Cloris Leachman are all set to reprise their voice roles from The Croods. 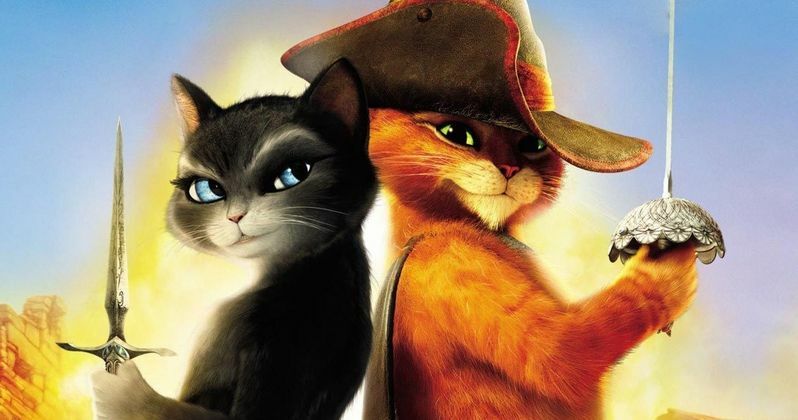 Puss in Boots 2: Nine Lives and 40 Thieves will go up against another untitled animated project from 20th Century Fox and Blue Sky, and it seems likely that Avatar 4 will also be released sometime in December 2018.